5. The message string which will be shown on the right. Additionally, this button needs to be disabled for first few seconds of page. By disabling, I mean it should be unclickable & it's UX would be little different so that user knows that it's disabled. 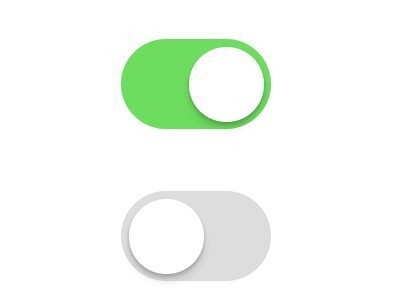 So, the idea is to append a css property called 'active' on click of the switch so that the inner circle is moved to right & background color is changed. I need to know if there is any risky css property I am using which may not work on many browsers. Also, is there any scope of improvement in this implementation? Is that the actual name you're using, my-toggle-button? Because if it is, then it can be improved by giving it a better name. Names should reflect their intent. What setting is being toggled by this? For example, if this were for a WiFi on/off setting, then I would name this button toggleWifi or wifiToggle or even simply just wifi.